Wolfgang C.R. Mezger, born in 1951, studied industrial design at the University of Design in Schwäbisch Gmünd following a number of musical projects and training as a typographer. After working as a freelancer, he founded DesignBüro Wolfgang C.R. Mezger in 1983. In addition to his professional work as a freelance designer for top international companies in the USA, UK, Italy, the Netherlands, Austria, Switzerland and Germany, he also has teaching assignments at various schools of design in Berlin, London and Schwäbisch Gmünd. 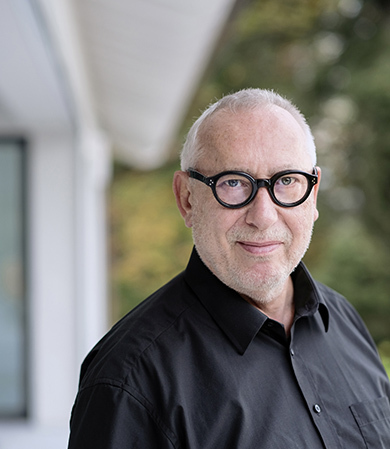 Since 2007, his office has been located in Göppingen, where he and his team have developed a wide range of innovative products, as evidenced by more than 80 international design awards to date. Mr Mezger, you have already created more than 333 products in your career. 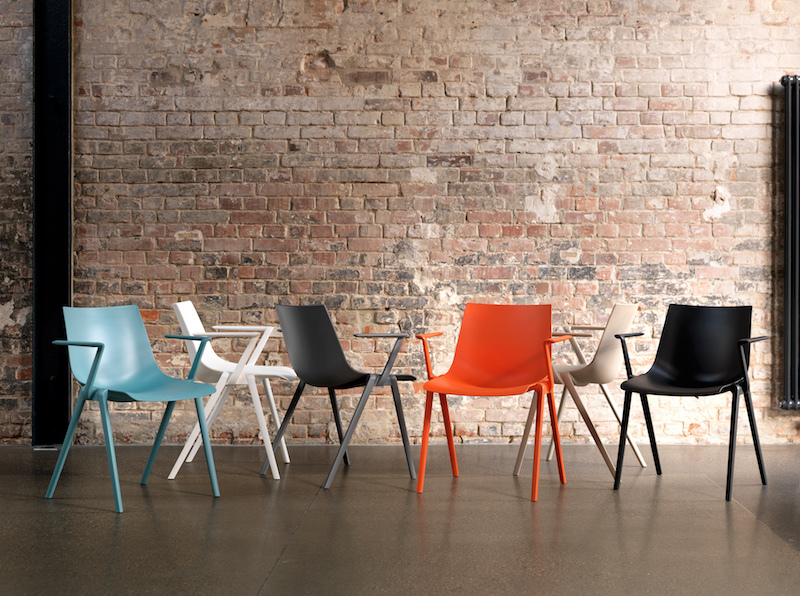 So what is fascinating about designing a chair? Basically, the chair represents the greatest challenge for a designer, whether they are a designer or an architect. The chair is the ultimate discipline of all design tasks, so to speak. It is simultaneously function and sculpture, technology and poetry. It is visually impressive and we must allow it to hold us. An almost intimate relationship is created by entrusting our bodies to this “thing”. It is precisely because of all these parameters that this exciting topic fascinates and captivates us, leading us to enthusiastically design chairs and chair ranges in all their facets. 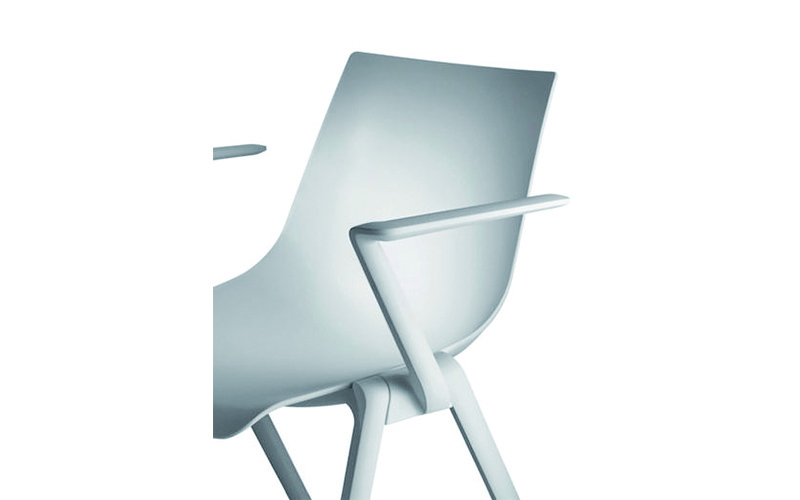 So Aula is the first chair you have designed for Wilkhahn. 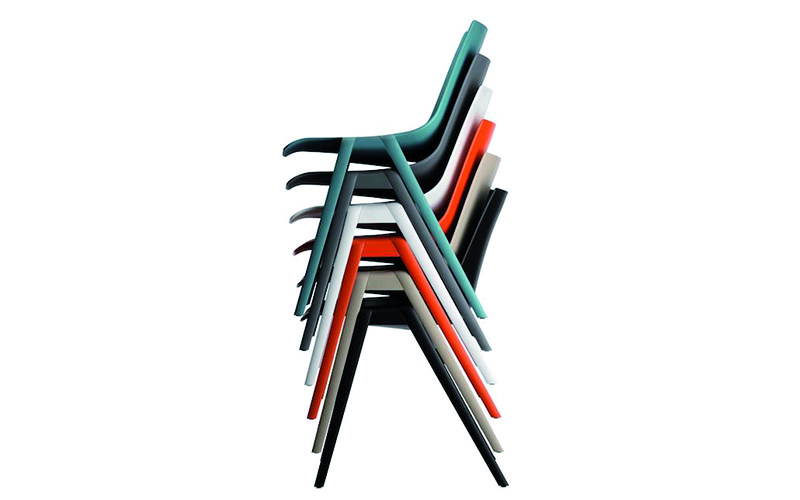 A stackable, multipurpose chair made of solid plastic, that sounds tricky. What were the greatest challenges? A clear dividing line must first be drawn here. You will find countless plastic chairs, also known as monoblock chairs, at least at every other outdoor restaurant. There are also many plastic chairs that serve the fashion market. The concept presented here serves completely different target groups such as in administration, offices, public buildings and event venues. Required here is very sophisticated quality and the highest design standards – this is no longer plastic but has been taken to new aesthetic and functional level – truly a work of art. 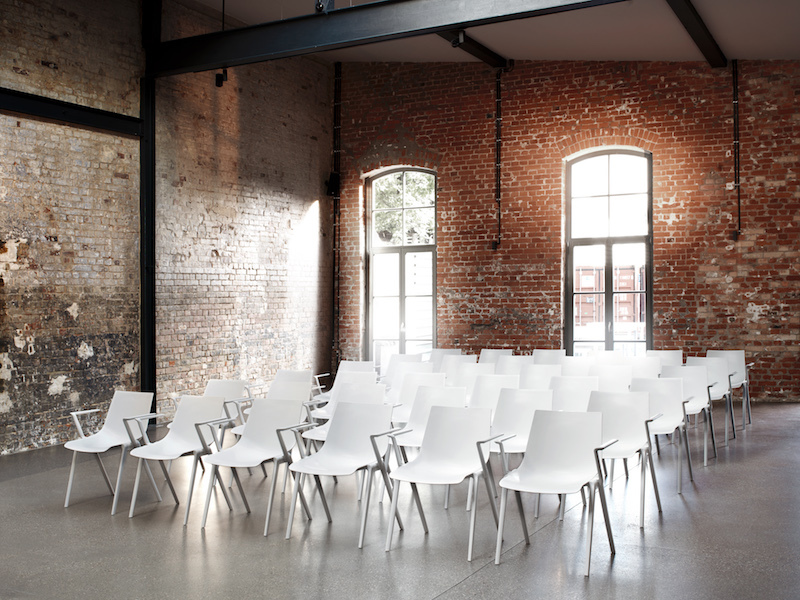 In order to do justice to the description multipurpose chair, Aula must have a modular design; all versions are stackable, the chair can be used with and without armrests, different colour combinations and upholstery choices are also possible, even different materials. The greatest challenge was to elegantly integrate all these functions into the product and to bring it to mass production. 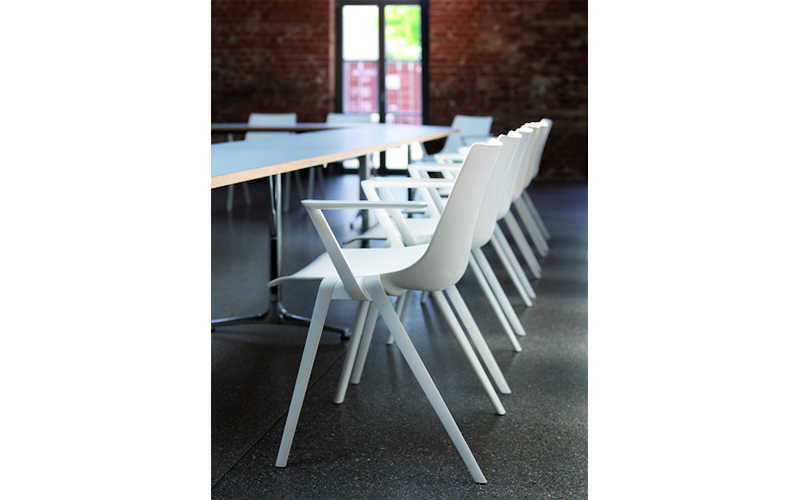 Giving the vertical stacking chair such delicate profiles at all – and this without the use of any metal inserts – was bold and challenging right from the outset, but we definitely wanted it. You can imagine that a number of attempts at this subtle approach were necessary in order to reach the limit of what is possible. The Aula appears to be made from one piece. What design is the basis for the concept? In the design there are two essential directions, the additive and the subtractive approach. Additive is design through the assembly of components. Subtractive is a sculptural approach. You remove or subtract unnecessary material with the aim of bringing to life the “hidden sculpture” in the stone. 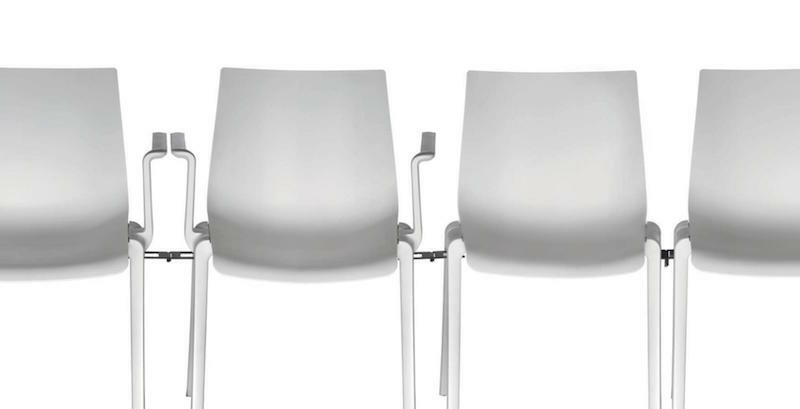 The Aula comprises three main components – the shell, frame and armrests. Initially, this is a classic example of additive design. But once the components have been assembled, it is the turn of the sculptural aspect. We call this integrative design, because the components merge together fluently and smoothly. The frame nestles against the shell, the armrest fits smoothly into the frame, the same applies to the surround on the chair without armrests. 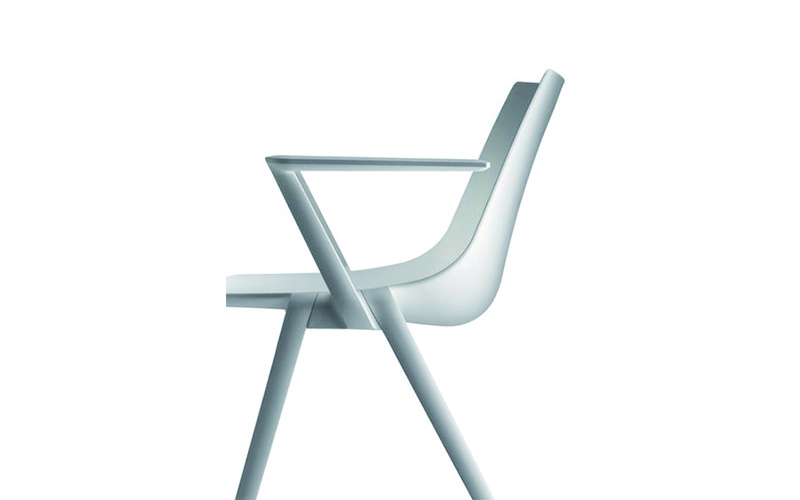 This harmony creates the impression that the chair is made from one piece, is sculptural in other words. This allows for a convincing appearance in very different architectures. How would you define seating comfort? And what role does it play in the design of the Aula? Seating comfort must immediately produce a surprising, positive opinion. It must bring about a spontaneous feeling of well-being. This applies to all types of seating furniture. Yet there are differences for different applications: The seat in a spacecraft forces constant sitting in one position. It is completely different to a piece of upholstered furniture in which you can relax and lounge about. Waiting areas, chairs in restaurants or seats on public transport are also subject to other laws. With Aula, this can be refined. In addition to the spontaneous feeling of well-being, you are supported by a multitude of sitting postures, even when sitting for long periods, whereupon dynamic sitting in all its variations is, of course, also possible. In order to be able to create the ideal seat contours here, not only have we called upon our many years of experience in seat ergonomics, but we have also conducted continual tests on a so-called sitting machine using various people of both genders, meticulously incorporating the results into the design. Mr Mezger, one last question for you as a passionate music lover: If there were an orchestra of chairs playing music, which part would be best suited to the Aula? The Aula chair in all its complexity is a “jack of all trades”. With its sculptural quality, it is both an individual soloist, but also scores points in a strict linear combination, and looks good in the casual ensemble of an orchestra. In other words, it is also a resourceful team player. The conductor will rejoice with Aula. Thank you very much for speaking with us!